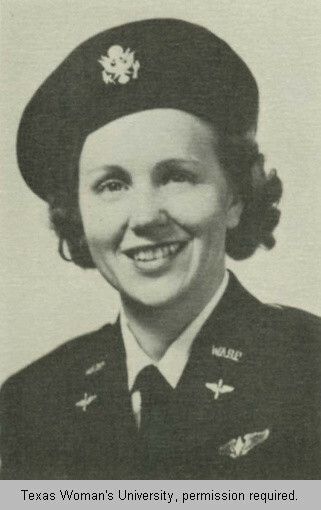 38 WASP gave their lives for their country. This is a part of the Story that our WASP Rose Parade Float wants to tell. 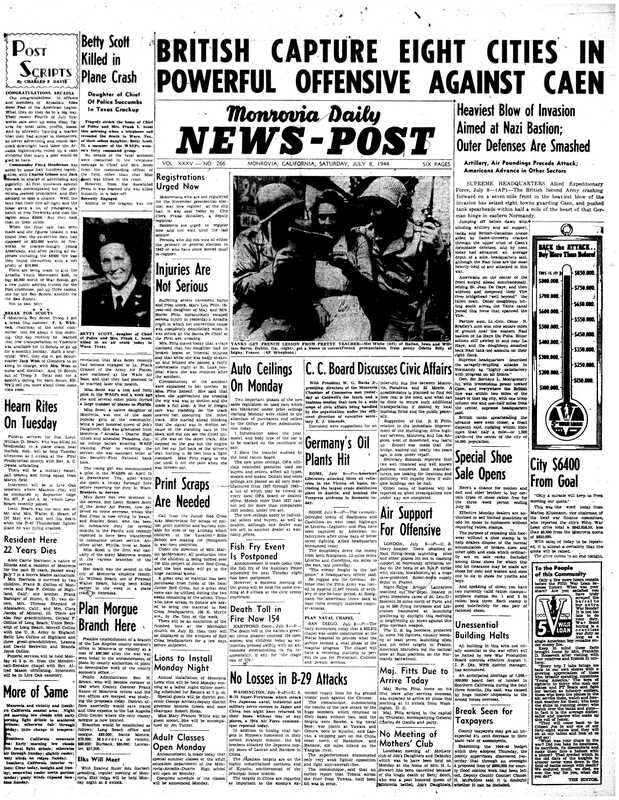 This is the complete front page that put Bettie's story in context with the other events of the day. 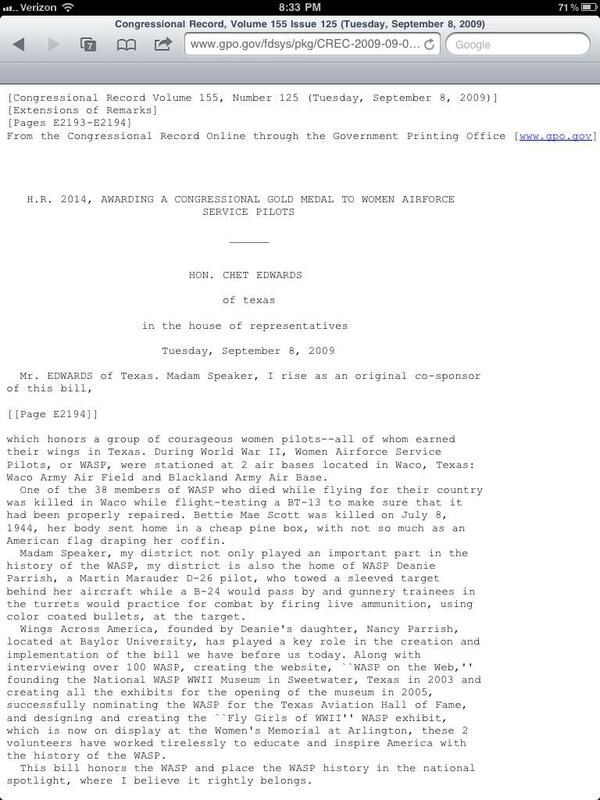 The other hometown military tragedy (Hearn) mentioned in the column to the left of hers with description of his military recognition. (Both are in the same cemetery now.) She got her hometown's recognition and honor though, if not a military one. The town businesses shut down in her honor for the funeral, and the Police and Fire Departments were pallbearers and honorary pallbearers. 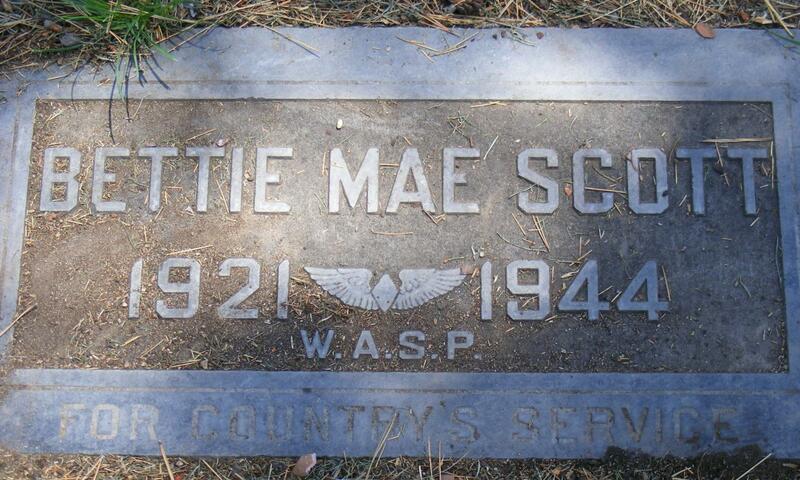 Bettie Mae was killed about two weeks before her twenty-third birthday. She was to be married later that month. Her father was the police chief of her home town: Monrovia, California. She attended Pasadena Junior College. "They sent her home in a plain pine box . . . " to Monrovia, California . . . 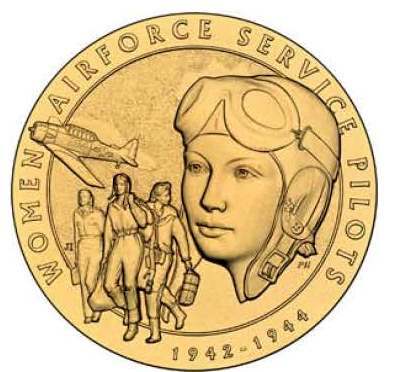 Text of Congressman Edward's remarks in support of bill to award the WASP the Congressional Gold Medal. . .